Lancaster London launches the next #LDNBloggersTea! It’s time to pop the corks! The next #LDNBloggersTea will launch at Lancaster London. 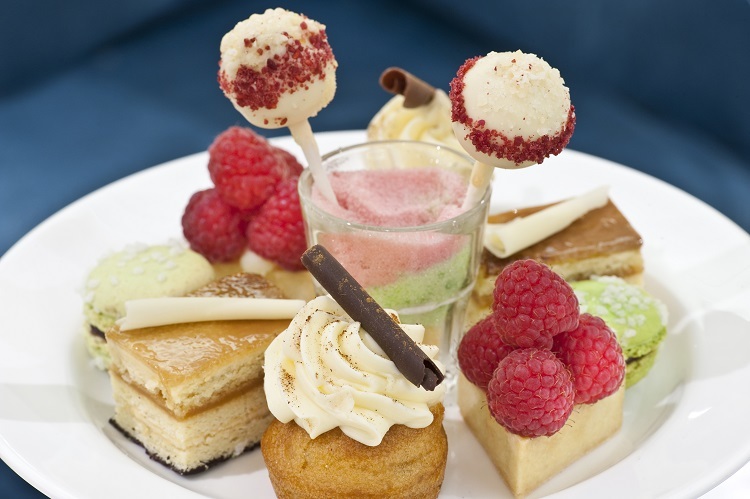 The Central London hotel is fully dedicated to bringing luxury back to their afternoon tea. And guess who’s going to be one of the first groups to experience it? It’s going to be a star studded event that you don’t want to miss! Foremost, it marks the return of Chef Ben! Remember Chef Ben from our afternoon tea at the Royal Horseguards? He’s always been a huge fan of the #LDNBloggersTea. 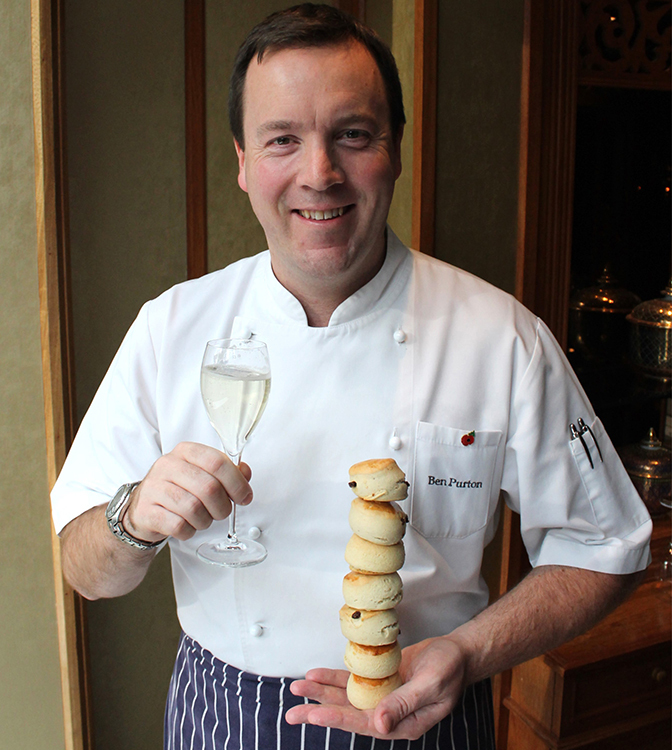 Chef Ben Purton has supported the London Bloggers for every one of our afternoon tea adventures since then. Have you followed him on Twitter? His #letsgetsconed tweets are tough to top! Did you know he’s also a bit of a celebrity? That’s right. In 2013 he appeared on BBC’s Masterchef! 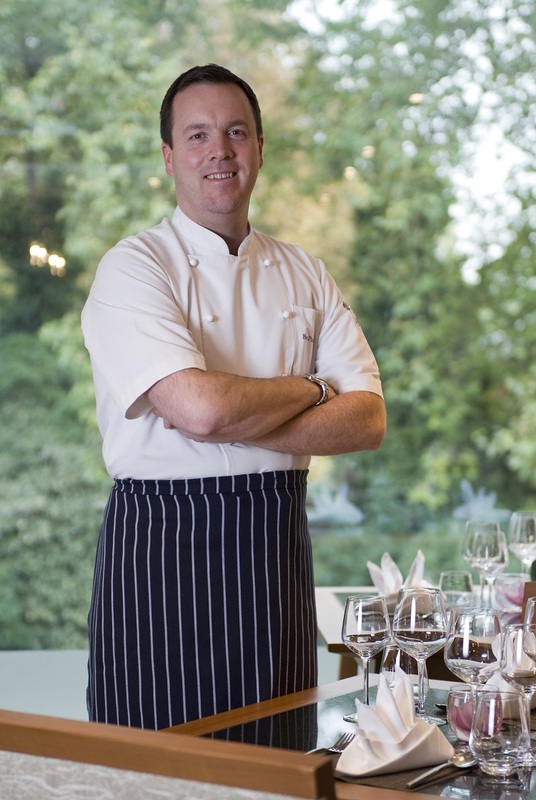 He also has worked at Selfridges Department Store, Hyatt Regency London – The Churchill, and as Executive Chef at Goldman Sachs. As Executive Chef for one of Europe’s largest banqueting hotels, Chef Ben Purton is also responsible for an 85-strong kitchen brigade. He participates in London’s Apprentice Scheme which helps young people become fully trained in all areas of the kitchen operation. I’ve asked Chef Ben to share a demonstration with us as a special VIP treat for our afternoon tea. As an added bonus, he’ll show or teach the #LondonBloggersTea a trick of the trade! So, with all this celebrity talk, we’re going to kick up the celebration notch even more with… you guessed it… Laurent-Perrier! We’re going to keep the bubbly flowing at this afternoon tea too. But that’s not all. Chef Ben’s arranged for one la la lucky London blogger to leave with a gift box from Laurent-Perrier! Oh yeah! You read that right. 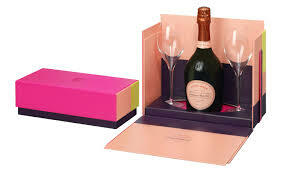 At least one buzzing blogger will go home with a gorgeous gift box of Laurent-Perrier Cuvée Rosé. Location, location, location. 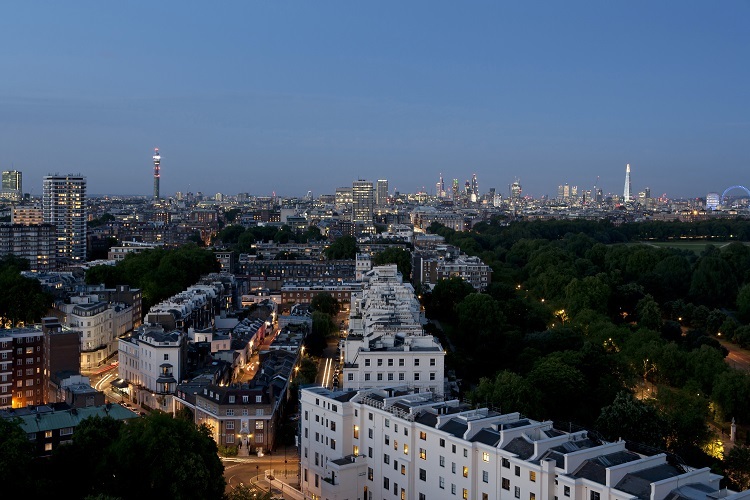 Lancaster London is steps from the Lancaster Gate Underground Station. And, the room Chef Ben has chosen for our afternoon tea overlooks Hyde Park. You know what Christmas event is happening at Hyde Park around that time, don’t you? 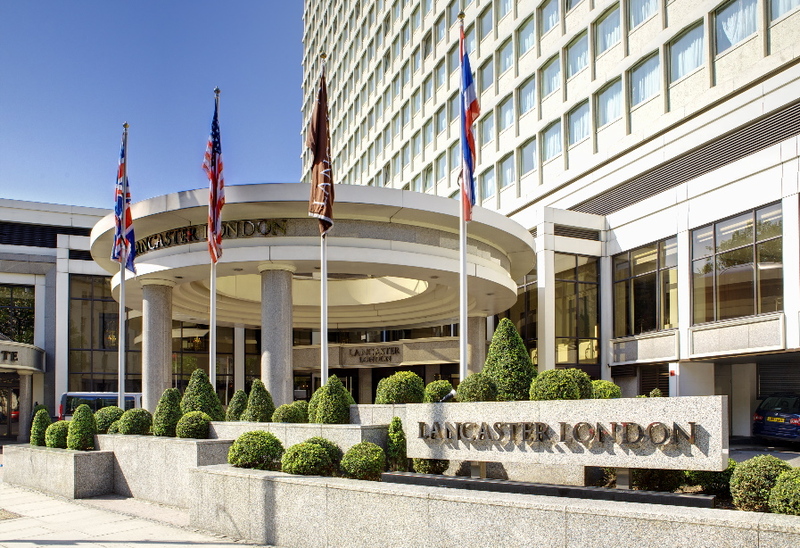 If you’d like to make a whole weekend out of the experience, the Lancaster London is offering a Winter Wonderland package at the hotel during the period that the Winter Wonderland in Hyde Park is open! 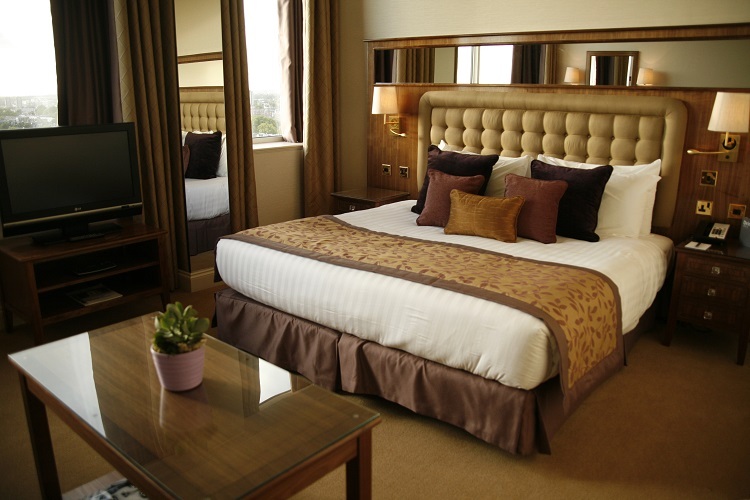 The package includes VIP check-in, bed and breakfast and a 25% discount on the second room for the children. This is from £149 and is available from the 21st November to the 4th January 2015. Finally, our sensational afternoon tea will consist of: delicate sandwiches, scones with clotted cream and jam, sweet pastries and cakes. We’re keeping the exact menu a little bit under wraps for now. Chef Ben is hard at work creating food that will be a true sensory overload! And, he assures us he’ll be able to meet our dietary needs which span from gluten free, to vegetarian, to lactose intolerant. This #LDNBloggersTea is open to any London blogger. It starts at 2:00pm on Sunday, November 30th. The cost is £25 for each blogger. To attend, send an email to me: Sunny AT SunnyInLondon.com. Include in your email: #LDNBloggersTea in the heading, your full name, blog URL. I’ll respond with information on how you can pay. You must RSVP and send payment to me for the Lancaster London Afternoon Tea by Tuesday, November 26th. The Lancaster London is located at: Lancaster Terrace, London W2 2TY. If you aren’t able to make it to the #LDNBloggersTea on November 30, the Lancaster London has another great deal for you to enjoy it. Their Afternoon Tea package offers early check-in, afternoon tea and bed and breakfast. This is from £189 per night and is available Thursday to Sunday. The #LDNBloggersTea meets quarterly (4-5 times a year). Venues are already being researched for the next afternoon tea, which will take place mid-January. If you’d like to be part of smaller blogger events throughout the year (I have quite a few in to works! ), send me an email. I’ve just been to the Lancaster afternoon tea last week so I’ll put my name in the ring for the next one! Shame as I was looking forward to meeting you! Oh no! I believe he’s working on something very new and different for us as part of his new role there. I understand if you can’t make it. We’ll miss you! CHEF BEN! #getsconed #chefkingofsocialmedia This looks amazing – cannot wait! Ohhhhhh yeahhhhh! It’s going to be bubblllllly. See you soon! Chef Ben rocks! Conrad London St James really was spectacular too. We’re a great group to be a part of!! Looking forward to seeing you. Thank you, Joy! I am sending the information this weekend. I have your email and you’ll hear from me soon. Looking forward to seeing you there 🙂 We’ve had sooooo many replies already. Overwhelming! Will have to keep my eyes open for the next one. Jen, hope to see you for the next one we plan. If you have a chance, send me an email with your information, if I don’t have it already. Sunny AT sunnyinlondon.com Thanks! Oh man, in Goa on that day but totally up for the next one, could you add us to your mailing list please? Thanks!